Pamplin Media Group - LINC volunteers bring gifts to W.S. LINC volunteers bring gifts to W.S. Volunteers from LINC brought some Christmas cheer to students in Warm Springs in December. 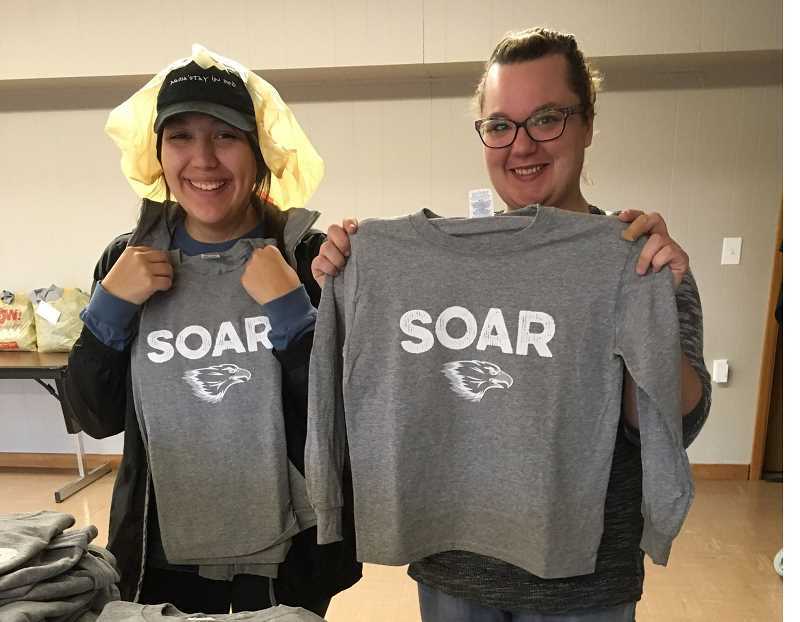 LINC Director Austin Cooper designed a "Soar" logo for 630 long-sleeved shirts, which were purchased by Westside Church, in Bend, to give to the students at Warm Springs K-8 Academy. Volunteers from LINC and Madras Free Methodist Church also created salt dough ornaments for the kids. "We made around 900 ornaments in three hours," Cooper said. "It took 12 hours to bake them all, and around 20 man-hours to assemble them into packets with paint, brushes, and string for hanging them. It took eight man-hours to fold and sort the shirts for each class," Cooper reported. The shirts and ornaments were delivered on Dec. 12, and given to the students on Dec. 13 and 14. At the gift giving, Cooper read a story about giving thanks to a few of the classes before they were given their gifts. "We told the kids that they could paint their ornament and give it to someone special in their life. The idea was to give them something, and also give them the opportunity to give something back," Cooper said.